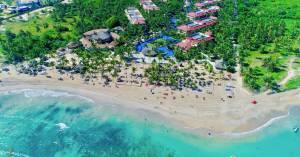 As gentle breezes blow through the palms, time and worldly concerns seem to evaporate at this incredible resort situated on the sun drenched east coast of the Dominican Republic. 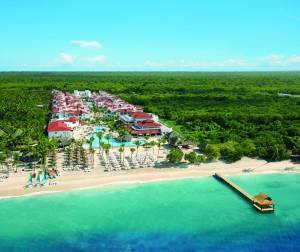 Located 20 minutes from Punta Cana International Airport and 2 km (1.25 mi) from the Cabeza de Toro Golf Course, the resort features 320 meters (350 yards) of white-sand beach and an array of activities and entertainments. 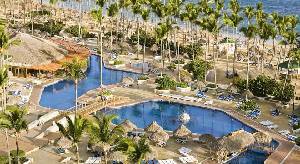 The ultimate all-inclusive experience, pampering guests with meandering pools, a swim-up bar, beachside massage palapas and lots of diversions for adults and kids. Supervised programs for children ages 3 to 17 allow parents to enjoy private time, whether the activity of choice is sampling the buffet or taking a Scuba lesson in the pool. Enjoy Exceptional Service, Premium Alcohol 24 Hour Room Service And Abundance Of Extraordinary Things To Do. 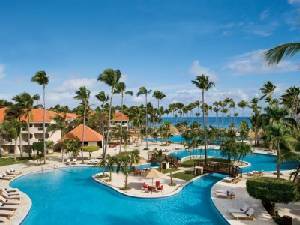 Enjoy beautiful scenery, a tropic Caribbean location and 5 star all inclusive luxury at Sirenis Cocotal Beach Resort & Spa in Punta Cana off the Dominican Republic's eastern shore. 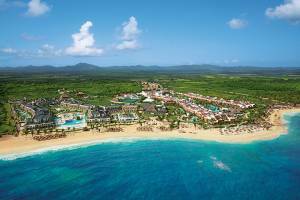 Located just over an hour from the Punta Cana International airport. 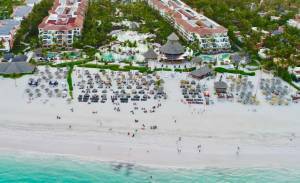 Sirenis Cocotal Beach Resort & Spa offers guests luxury, relaxation and exciting daytime activities including: 4 pools, windsurfing, catamaran sailing, snorkelling, on-site scuba lesson, tennis, beach volleyball, spa services and a fitness center. 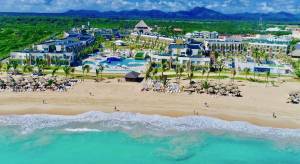 Situated in Punta Cana, in one of the Most Beautiful Coconut Groves in the Caribbean, with a 400 Meter Virgin Beach. Nine Exceptional Restaurants Await You and Enjoy Your Favorite Cocktail In or Out of the Pool in Any of the 10 Bars. New 12,000 Waterpark Complete with Waterslides, Wave Pool and Pirate Ship.